Experience the Difference of a Catholic School! Outstanding curriculum... caring dedicated teachers... pathways to successful academics! Students learn the importance of doing the Works of Mercy and "giving back" to the community. Attention to the "whole child" leads to academic, social, and spiritual success! Pray the Stations of the Cross with us this Lent. Please click the image to view the Stations of the Cross, beautifully illustrated by our third grade students. 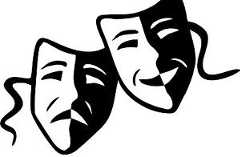 This year's 7th and 8th grade drama production is "Bedtime Stories as Told by Our Dad". Come see the show on Wednesday, April 24th at 7:00 p.m. in the Lower Church Hall! Do you need uniforms for your child? 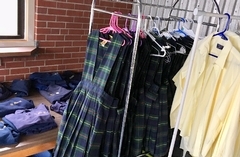 Come to the Used Uniform Sale, sponsored by the Parent Guild, on Wednesday, May 8th, from 7:15-8:15am and 7:15-8:15pm. 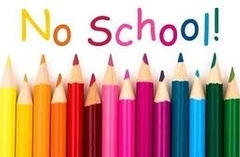 Thursday, May 9th, 2019, 9:00-10:15am. Grandparents and other special persons are invited to come visit their grandchild at school! 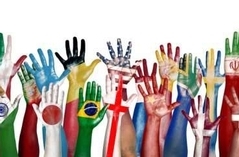 "Celebrate Diversity" Day is Thursday, May 9th! Students are welcome to wear clothing or accessories, or bring in items, that relate to their culture or heritage. Our faculty recently completed BC's certificate program, Serving Exceptional Learners in Catholic Schools. Click the photo to read the article in the Boston Pilot. 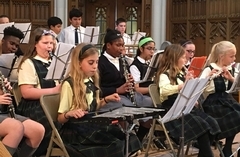 Our Band groups and Tin Whistle clubs will be performing on Thursday, May 16th at 1pm. All our welcome!